I think Easter is one of my favorite holidays. In a lot of ways, I like it even better than Halloween and almost better than Christmas. 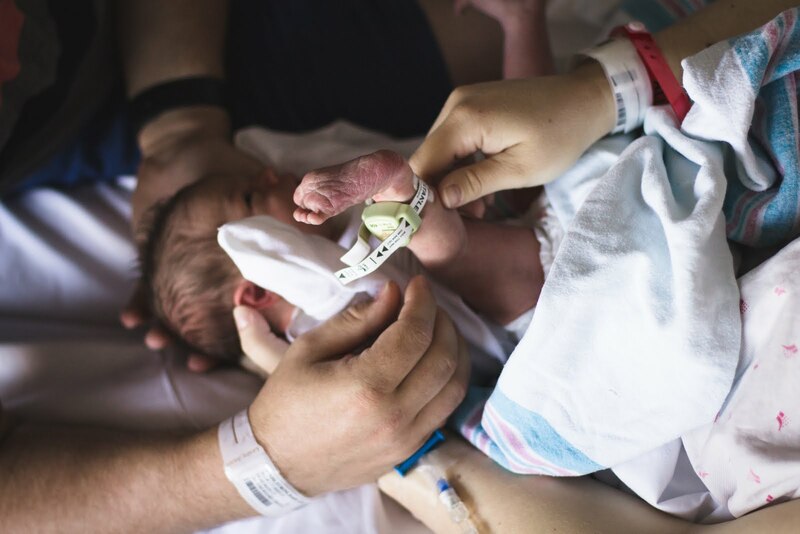 I think the reason I like it so much has to do with the idea of the world kind of being reborn. I love springtime and it just seems like you've been in a pit for a long time and finally things are starting to look up, like the Savior being resurrected. I don't think that the time of year that we celebrate this is coincidence. It's a beautiful time of year. Plus, decorations for this time of year are so cute! And the crafting opportunities are endless! At this point in my life, I don't go too crazy with the home decor (As soon as we have our own home that will change), but I do love me some good baking! So without further ado, here's my latest and favorite baking creation! 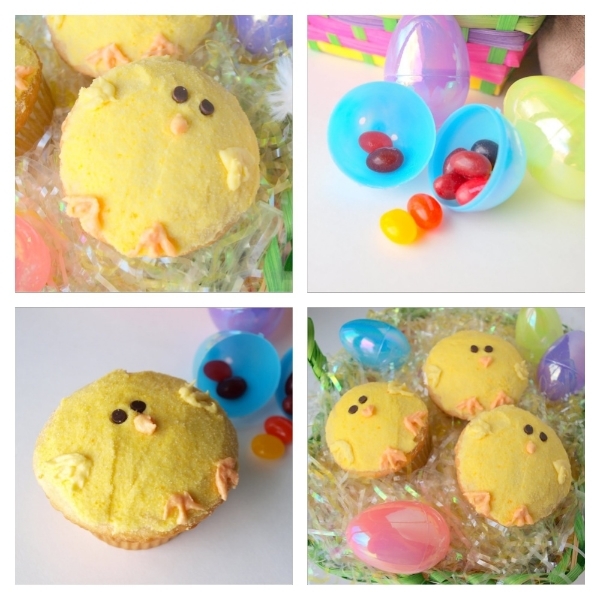 I honestly don't know how people don't like peeps (Drew being one of them), but these are a pretty dang good alternative and they were really easy to make. You might have seen this on Pinterest, because I'll admit that's where I got my idea. Step 1 (cupcakes): Turn the oven to 350 degrees fahrenheit. Follow the directions on the cake mix box to make the cupcake batter, line your muffin tin with the liners, and fill each about 2/3 full. Bake in the oven for 15-20 minutes. Step 2 (frosting): While the cupcakes are baking, begin making the frosting. 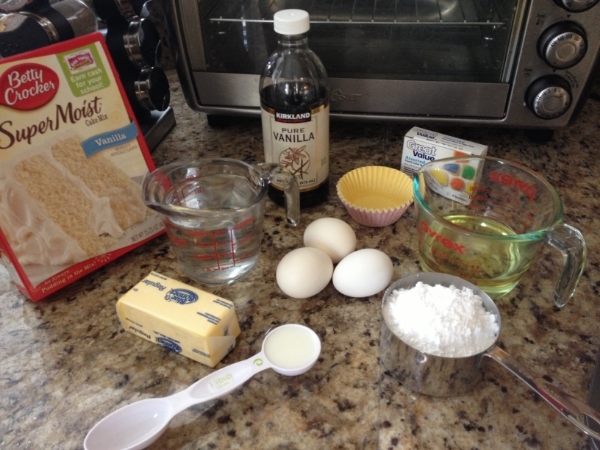 Use a stand alone mixed or hand mixer to mix the butter until smooth. Mix in 1 Tbs. of milk, and add in a cup of powdered sugar. Next, mix in a teaspoon of vanilla, then add in the rest of the powdered sugar a cup at a time until you reach the desired consistency. Add in 4-8 drops of yellow food coloring until it turns the color you want for your peeps. 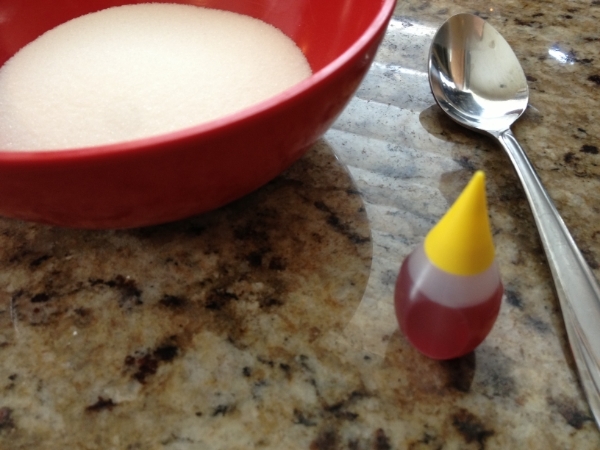 Step 3 (colored sugar): Pour 1/4 c. sugar into a shallow bowl and, one drop at a time, add in yellow food coloring, stirring the sugar and squishing any clumps to turn it yellow. I think I used maybe four drops. The sugar doesn't have to be completely yellow. Just enough so it doesn't show white on your yellow frosting. 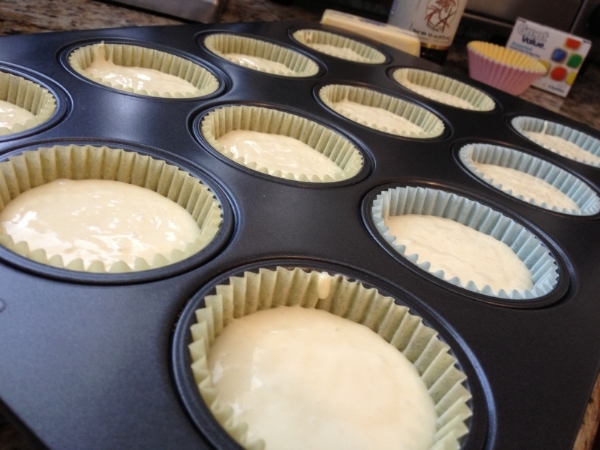 Step 4 (decorate): Once you've allowed the cupcakes to cool completely, frost the top like you would butter bread. Just a layer of frosting across the top. Next, dip the top in the yellow sugar, being sure to coat the entire frosted surface. Place the mini chocolate chips upside down in the frosting for the eyes, scoop half the frosting into your piping bag with the small circular tip, and "draw" the wings. There might be a pre-made piping tip in the shape you want, but I didn't have it. 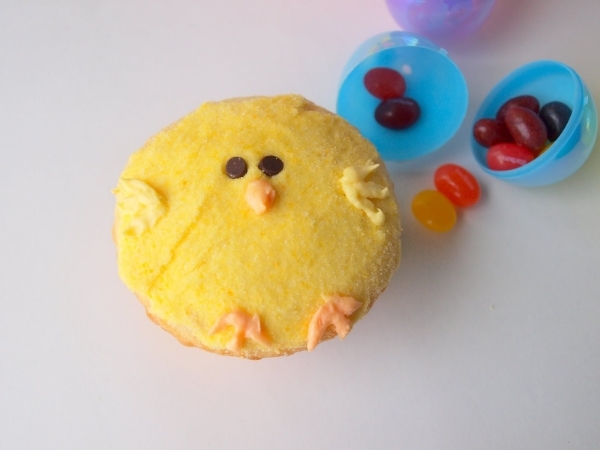 Color the rest of the frosting orange and use that to make the feet and beak. And there you have it! 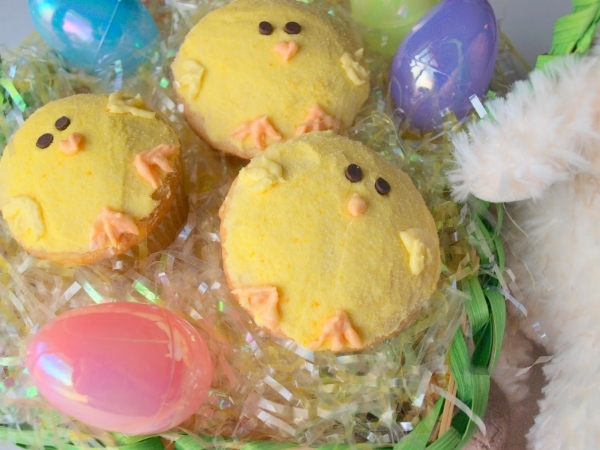 A deliciously cute, tasty treat to enjoy this Easter!